Explore images and video in new ways. Create high-res visualizations and animations and customize everything. Will it work with my stuff? Works with any media, on any platform (almost). 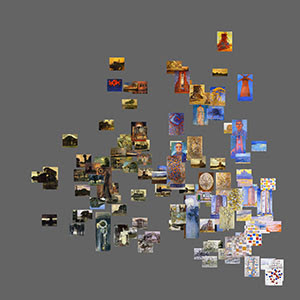 ImagePlot is a free software tool that visualizes collections of images and video of any size. It is implemented as a macro which works with the open source image processing program ImageJ. ImagePlot was developed by the Software Studies Initiative with support from the National Endowment for Humanities (NEH), the California Institute for Telecommunications and Information Technology (Calit2), and the Center for Research in Computing and the Arts (CRCA). 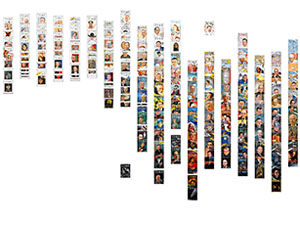 See your whole image collection in a single visualization. Existing visualization tools show data as points, lines, and bars. ImagePlot's visualizations shows the actual images in your collection. The images can be scaled to any size and organized in any order - according to their dates, content, visual characteristics, etc. Because digital video is just a set of individual still images, you can also use ImagePlot to explore patterns in films, animations, video games, and any other moving image data. Better understand media collections and make new discoveries. We include macros which automatically measure various visual properties of every image in collection (or every frame in a video). These measurements can be visualized as line graphs, scatter plots, and image plots. This allows you to see the patterns of change over time in images' visual characteristics. You can also compare multiple image sets in terms of their visual characteristics. Visualize image collections of any size. From a few dozens to millions of images. There is no theoretical limit to the number of images that can be included in a single visualization. A few dozen images can be visualized in a second, a few thousands will take a few minutes. The largest number we tried so far was one million images ( yes, this took a while - but it worked!). If your collection is really big, start the render and just come back when it is finished. Start with point and line graphs, which allow you to quickly explore your image set. Once you find an interesting pattern, re-render the plot to show the images. Go back and forth between these options as often as you like. Render and save high-res visualizations. You can render and save greyscale and full-color visualizations of any size (as long as they don't go over 2.5 GB.) 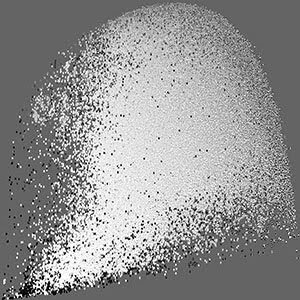 For example, we created 44,000 x 44,000 grey scale visualization showing one million manga pages, 137,530 x 13,800 visualization showing all shots in an hour long film, full-color 16,000 x 12,000 visualization showing 776 van Gogh paintings. (All were rendered on Mac Book Pro with 4GB of RAM). Turn any visualization into an animation. Select the option to save visualization after each new image is added to it. The result is a sequence of files which can be easily turned into video (use QuickTime or any video editing application). Customize the appearance of data points and lines, background, axis lines, data labels, image labels, the size of images, image transparency, and pretty much everything else you can think of. We wrote ImagePlot to support both quick exploration of image sets and creation of high-res visualizations for publications and exhibitions. So we added options to control every possible aspect of visualization appearance. Visualizations created with ImagePlot have been shown in science centers, art and design museums, and art galleries, including Graphic Design Museum (Breda), Gwangju Design Biennale (Korea), and The San Diego Museum of Contemporary Art. Use with digital image analysis tools. Measure various visual properties of the images in a collection (brightness, saturation, hues, shapes) using macros we provide - or you can use any other digital image tools. Study patterns in these properties across a whole collection using ImagePlot visualizations. Work with images in all popular formats. Color or grey scale images? JPEG or TIFF? No problem, ImagePlot can handle them all. If you images have different sizes, ImagePlot can also automatically scale them to the same size. If your images are located across multiple directories on your computer, we built in an option to handle this as well. Run ImagePlot on Windows, Mac OS or Unix. ImagePlot has a Graphical User Interface, so you don't need to program or script anything. Use data created in other applications. Download and run ImagePlot in minutes. ImagePlot is a macro which runs within the cross platform, open source image processing software ImageJ. Together these files take up under 5 MB. The full ~100MB download comes with several large sample data sets, which are helpful for getting started but not required for the software to run. View the latest commits and changelog on our GitHub page. Hardware requirements: 2 GB RAM (4GB or more recommended for high resolution visualizations with images). Software Requirements: To use ImagePlot macro, you will first need to install the ImageJ application. ImageJ will run on Mac, Windows, or Linux. Application files for all three operating systems are included in the ImagePlot.zip download. ImagePlot macro, ImageJ application (Windows / Mac / Linux), sample data sets, theory and methodology articles. ImagePlot macro, ImageJ application (Windows / Mac / Linux). 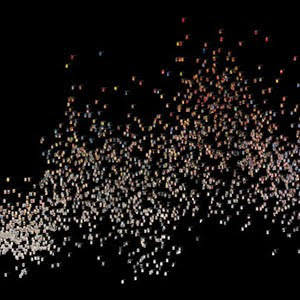 Each new visualization is given automatically generated meaningful unique filename. It includes the names of data file and the data columns used for x-axis and y-axis. Option to automatically save the visualization after it have been rendered (appears in the first application dialog box). Option to render the visualization using a better resize algorithm (runs slower but generates nicer images; the option appears in the Image Options dialog box). File open error checking: if ImagePlot can't find a particular image, the filename is printed in the Log window, but rendering continues.